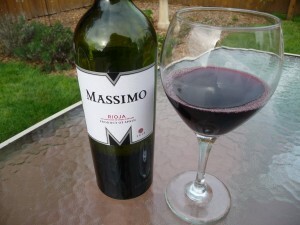 We’ve enjoyed a couple affordable bottles of wine lately that’d make a nice addition to the weekend. Mosen Cleto is a 2010 Crianza from the Campo de Borja region of Spain. This 75% Grenache and 25% Tempranillo blend is a bargain at $11 a bottle and is one of the least expensive wines in the line up at Emanar Cellars right now. Made predominantly from grapes of 30+ year old vines, it is certainly a medium-bodied wine with medium acid so I’d pair it with a meal or appetizers. It’s a wine that can be sipped but might come off a bit unappreciated without food to balance it out. It’d be great with a stew or even something more tomatoey like spaghetti or pizza, if you’re a fan (which I am not). It’s made for the region it represents so think hearty Spanish food. 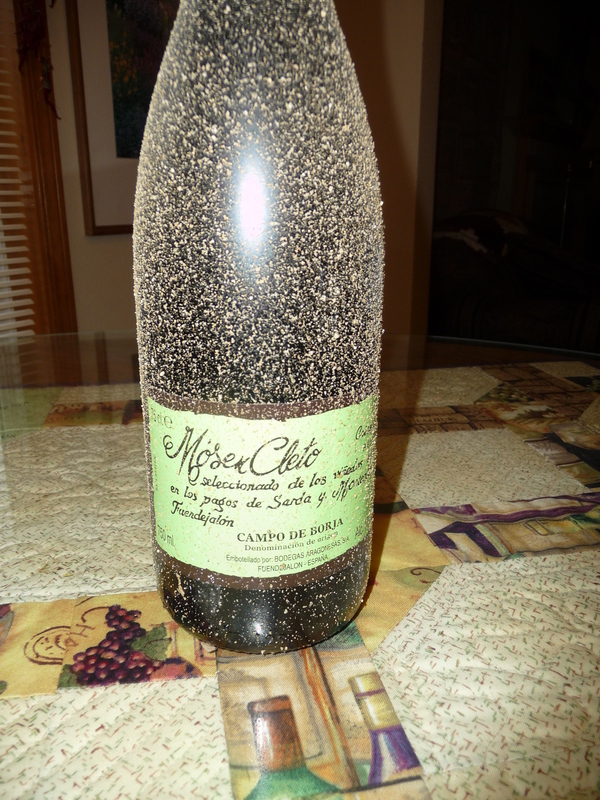 To top it off, the wine comes in this terrific sand-blasted bottle. The 2010 Massimo Rioja (wine from the Rioja region of Spain) is Tempranillo-dominant (93% Tempranillo and 7% Grenache) so we found it to be a bit smoother and with a richer mouth-feel sans food. It pairs well with a hummus platter, rosemary nuts and a tangy goat cheese or, in the spirit of Spain, Manchego. I could smell the vanilla on the nose and enjoyed a bit of baking spice in the taste. This precious find can be had for $13 at Battle Ground Produce.